Adventurous travelers look for trips that take them to different and exciting places while pushing the limits of their normal “comfort zones.” Such it is for those traveling with Blount Small Ship Adventures (www.blountsmallshipadventures.com/), a relatively small, but very important, company based in Warren, Rhode Island. I have cruised as an on-board speaker with them five times on their Great American Waterways cruise. The eastern terminus of this cruise used to be the home port in Warren, but it has now been moved to a more convenient (for travelers, anyway) location at Chelsea Pier in New York City. 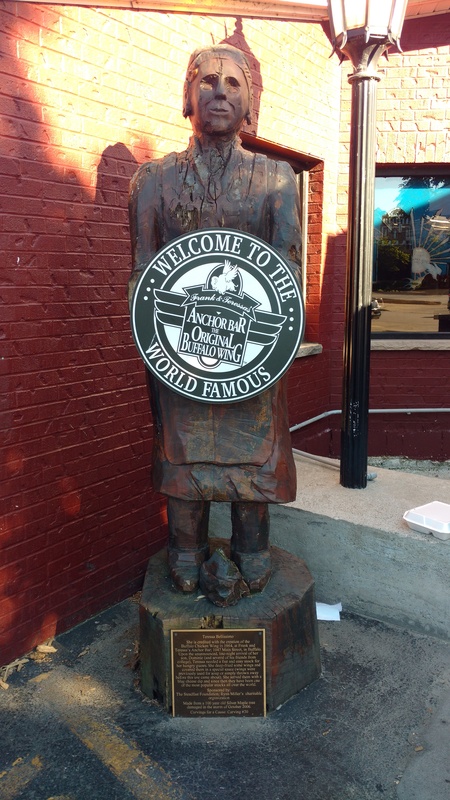 The western terminus is still Chicago. It’s what’s in between those two points that makes this cruise so amazing! 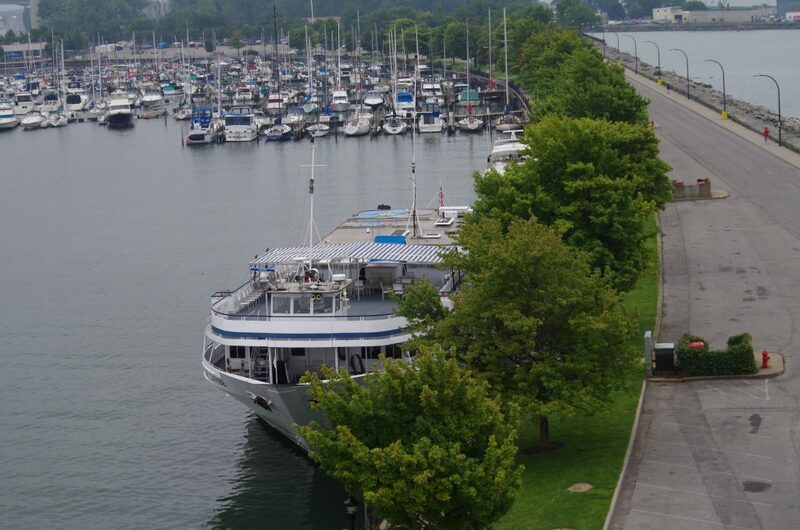 You can read more about the cruise (Hudson River, Erie Canal, 4 Great Lakes, etc.) 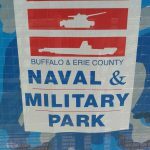 on their website; this posting is primarily about Buffalo, and what the cruisers do while in port there. Buffalo wasn’t always the second largest city in the state of New York; its selection as the western end of the proposed Erie Canal increased the city’s importance and population. 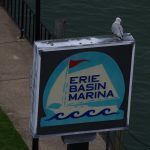 Our boat is typically the largest one docked in the Erie Basin Marina; the small pleasure craft glide by as they’re heading out into Lake Erie for a day on the water with family and friends. 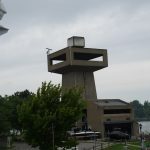 The square observation tower at the end of the marina is a great place to climb the stairs and get that bird’s eye view of the area. For the crew, it’s a time for replenishing the provisions, empty the tanks, and filling the fuel tanks. With an overnight stay, some of the crew head into town for some time on their own and a well-deserved break away from the passengers. 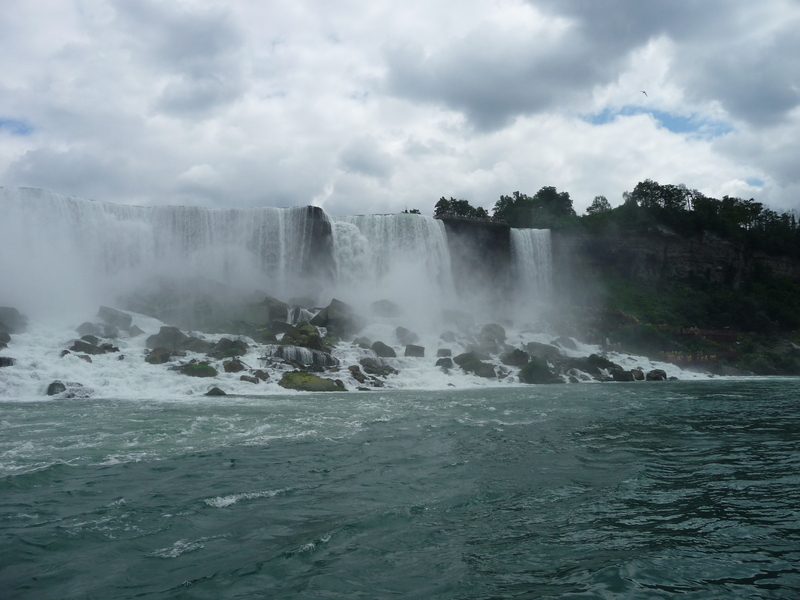 Going to Niagara Falls is a definite highlight of any trip to the Buffalo area. 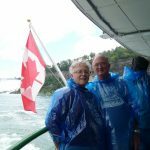 The view from the lookout areas is certainly impressive, and when you ride on one of the boats that takes you into the spray of the thundering water, you get that up-close picture of all that water tumbling from Lake Erie into Lake Ontario. 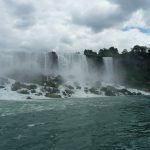 The amount of water going over the three falls — American Falls, Bridal Veil Falls, and Horseshoe Falls — totals over 750,000 gallons per second. Per second! Over 3,000 TONS of water per second. 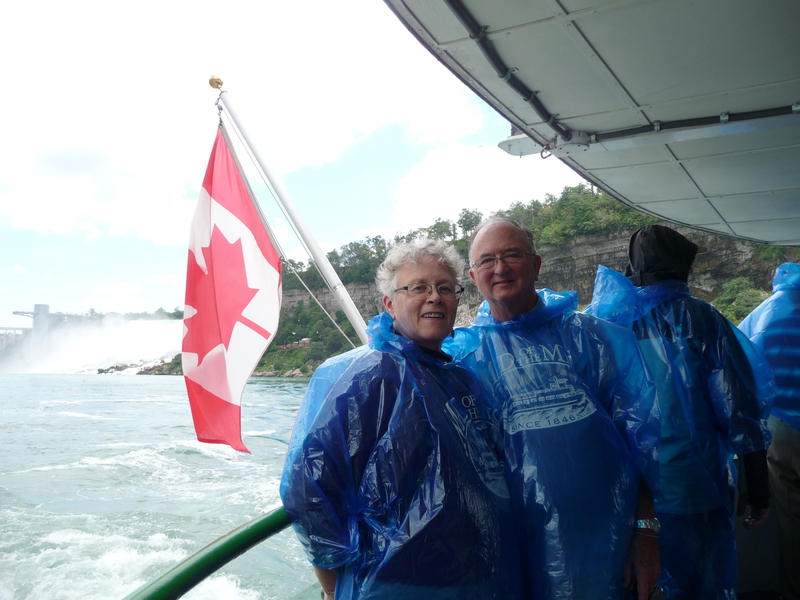 With all that water coming down, the provided ponchos (different colors for different tour companies) keep you mostly dry unless you want that free shower by standing along the boat’s railing as it nears the falls. 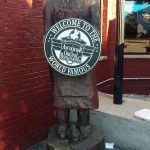 Eating Buffalo Wings where they were first made is a rite of passage for anyone who’s been to Buffalo. 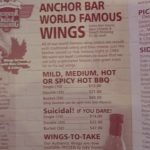 The Anchor Bar (www.anchorbar.com) still serves them they way they were first made on March 4, 1964, although they have added a few varieties over the years. 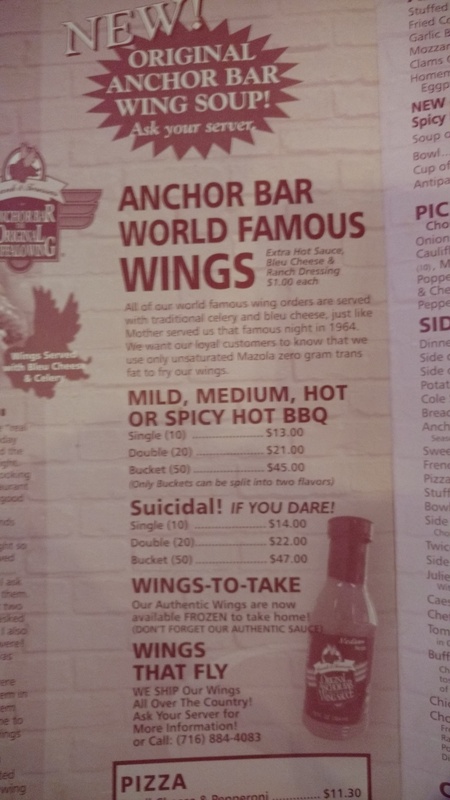 The Medium spicy wings had quite the kick to them, so I was not about to try anything hotter than that. The portions were quite generous; the plate of ten actually had eleven, and there was a lot of meat on each one. You have two choices when you go there: arrive early and sit at the bar (why not?) or arrive when everyone else does and stand in line. We got there early, enjoyed a nice cold beer on tap with the wings, and walked past the forming line as we left. 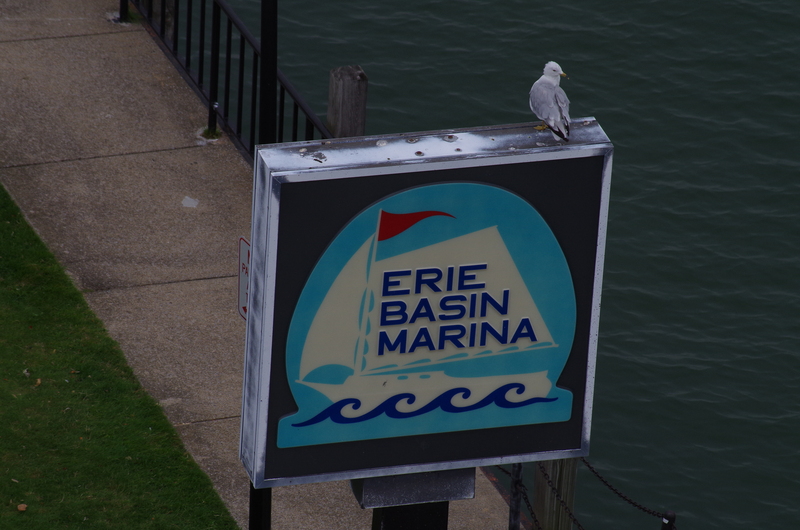 You also have choices if you want to stay close to the marina area. 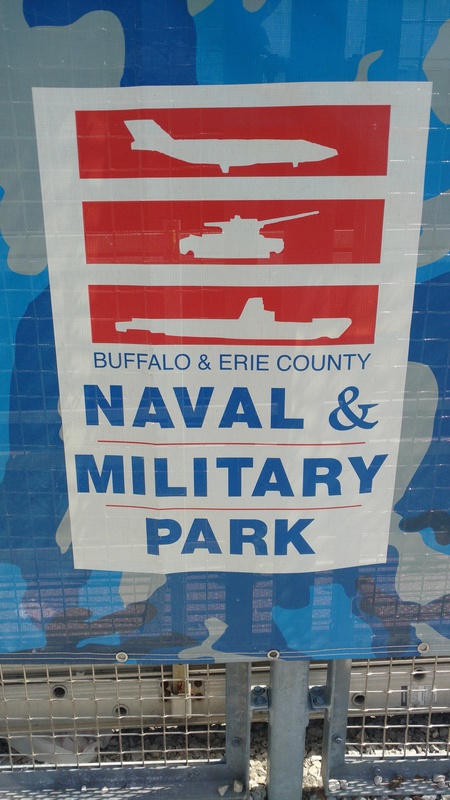 The Naval & Military Park (buffalonavalpark.org) is an easy walk from the free parking at the marina. 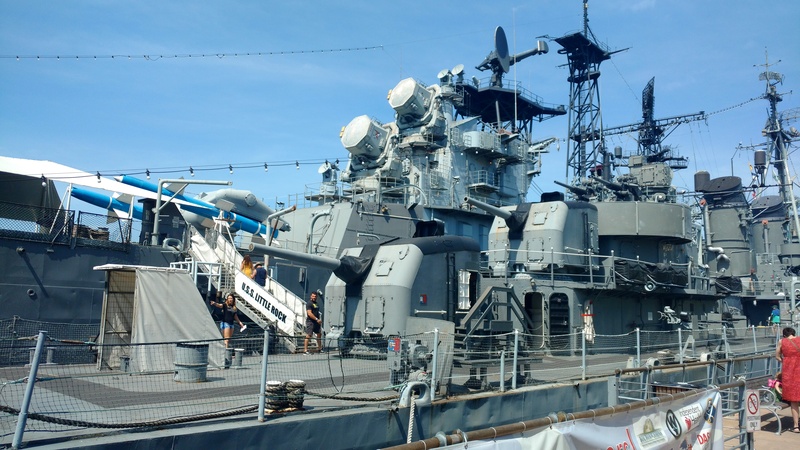 There are several Navy ships, some ground equipment, a very nice indoors museum (Air Conditioned! ), and plaques of various local people who served in the military. 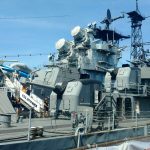 You can see some of the items for free; others (museum and going on the ships) requires a fee to be paid. Also nearby is a nice park with beautiful flowers where you can sit on a bench and watch people walk by or head out into the open waters in their boats. BONUS: there is a great (and free) WiFi connection in this area. 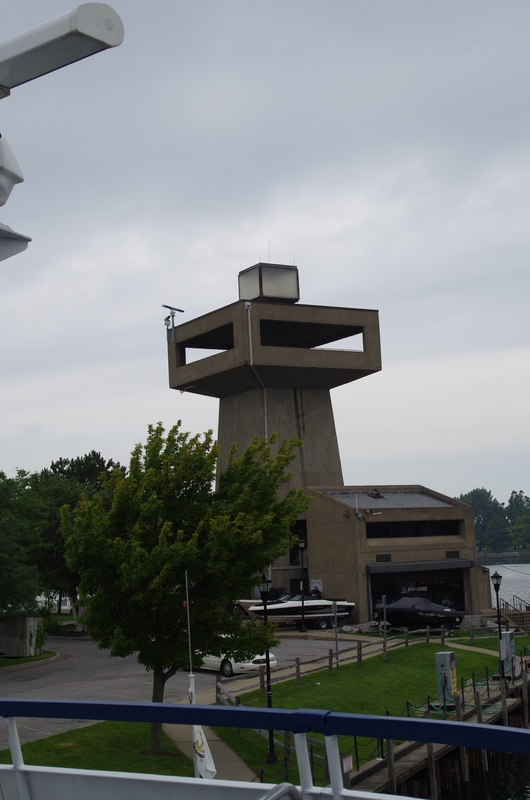 There is a lot more you can do in the Buffalo area when you visit by boat: sports activities; a casino; Frank Lloyd Wright homes; walking tours; Pierce-Arrow automobile museum; rent a kayak, etc. Just let your imagination be your guide, and consider doing something “adventurous”!